Most of us are full of energy early in the morning, but as the hours fly by, we start feeling exhausted; at the end of the day, we lack total energy, feel immensely tired and simply feel like hitting the bed. Is it actually possible to stay energetic throughout the day in the same way as we feel in the morning? Well – there are ways, some small changes in lifestyle by which you can have energy throughout the day. Try these and be full of energy throughout the day. 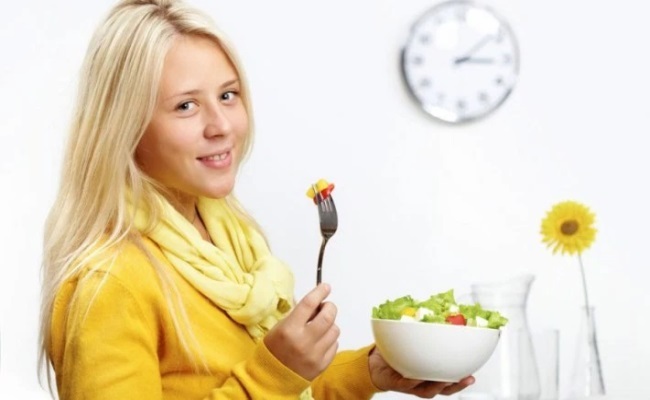 Make it a habit to eat in every 3-4 hours. Its a good idea to have 3 small meals in a day and two light snacks throughout the day. This will help in keeping your energy level stable and your blood sugar normal. You will not feel tired and lethargic. In fact, having heavy or large meals leaves us lethargic and lazy. 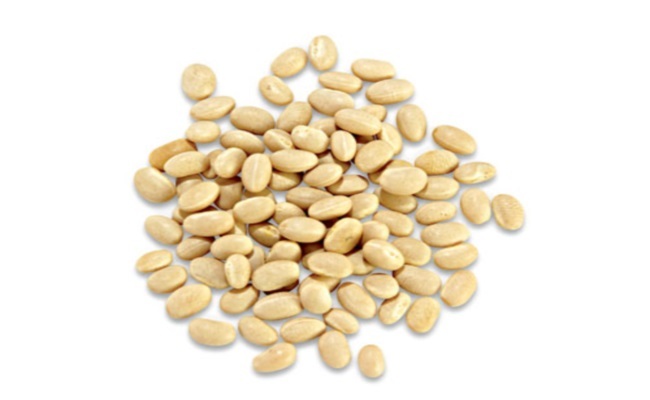 Fiber is known for its time releasing effects on the carbs. This means carbs will enter your blood stream at a much slower rate, also steadier rate. This will help you in staying energetic throughout. Increase your water intake of the day. Its important to have at least 10 glasses of water in a day. For every cup of coffee you have, increase your water intake by two glasses. Water helps in hydrating the brain, which if dehydrated lacks focus and energy. It results in lesser creativity and loss of focus. Deep breathing helps in interrupting all hormones which cause stress and anxiety. 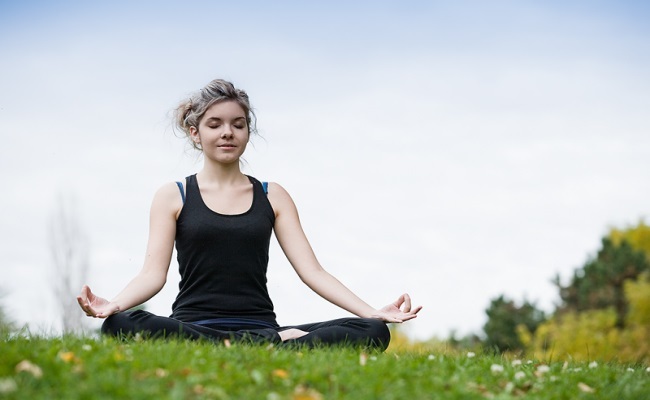 Deep breathing helps in regaining your natural body rhythm. It also helps in getting rid of headaches, it works to relax the shoulders, it increases energy and also helps in reducing restlessness. Practice deep breathing at least 10 minutes in a day or whenever you feel stressed out. Do not stay indoors or at work throughout the day as it will make you lazy and reduce the desire to move around. Move out, walk at least 30 minutes in a day in between hours and breathe in fresh air. 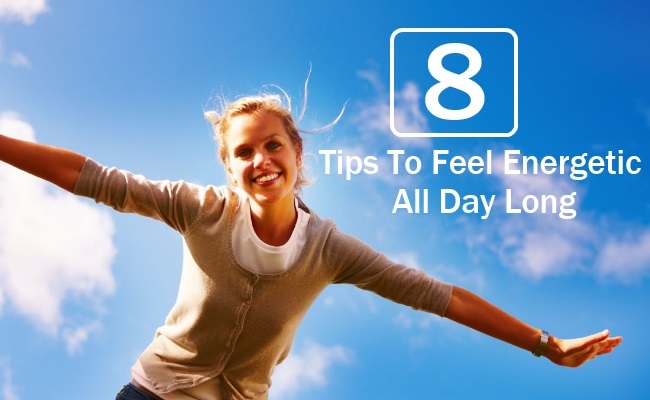 This will help in regulating the body clock and make you feel energetic throughout the day. If you are among those who spends 8-10 hours in a day, sitting at one place and working, you are destined to be tired at the end of the day. The metabolism rate slows down and oxygen supply to the brain is reduced. You need to start with some low key stretching exercises which will help in unblocking energy and will release tension. These include wrist rolls, shoulder shrugging, neck rotations or neck rolls which help in preventing tensed muscles, reduces risks of knotted and over tired muscles. Sleep deprivation on a regular basis can make you feel lethargic and tired throughout the day. Ensure you sleep at least 8 hours on an average, to enable proper functioning of your body. Sleep deprivation also causes you to feel tired and sick. Include foods rich in omega 3 fatty acids in your diet. Fatty fish such as salmon and tuna are rich sources of omega 3 fatty acids which help in keeping the brain cells healthy. 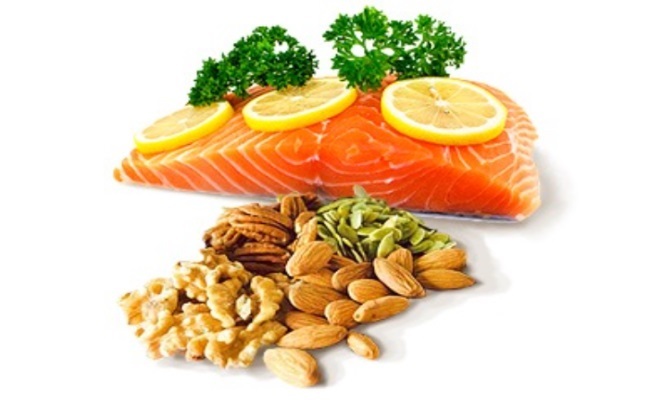 You stay mentally alert throughout the day with regular inclusion of omega 3 fatty acids in the diet. The body starts storing carbs such as glycogen and the primary source of body fuel instead of fat. It keeps you energetic, removes lethargy and reduces tiredness.